Christy Webber Landscapes provided landscape construction services for the Prudential Deck. 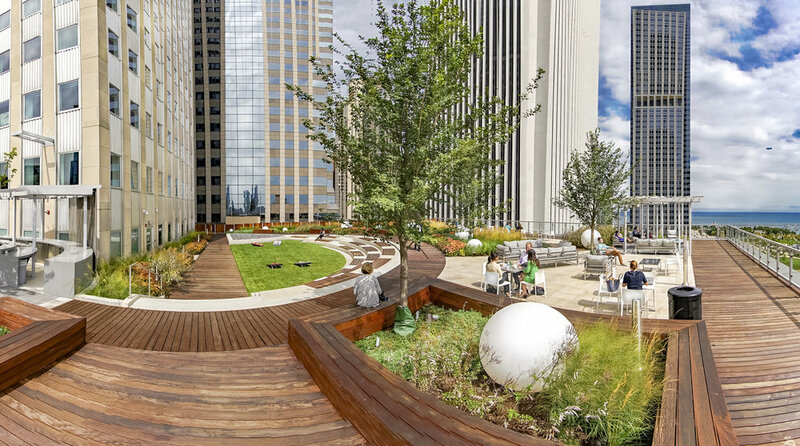 This roof top deck sits high above Millennium Park and has a world class view of Chicago. The deck features stone and custom ipe hardwood pavers as well as comfortable furnishings. There is a small grassy area and built-in planters that feature six four foot caliper trees that were installed via helicopter.